Khloé Kardashian's family are ''jokingly'' giving Tristan Thompson a ''hard time'' after he was seen seemingly kissing another woman just days before his partner Khloé gave birth. 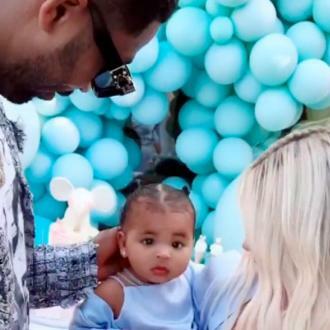 Khloé Kardashian's family are ''jokingly'' giving Tristan Thompson a ''hard time''. The basketball star was seen seemingly kissing another woman just days before his partner Khloé gave birth and whilst the couple are now back together, Khloé's mother and sisters have been joking around with Tristan about what happened. Earlier this week, Khloe broke her silence on staying with Tristan after his alleged infidelity.